Tom Snyder, blogger-in-chief , is taking the holiday period “off” to spend Quality Time with family and friends. He will return to his pens and ink pot in the New Year. In the nonce, he wishes his dedicated cadre of readers the very best of holiday seasons, and a most excellent New Year. 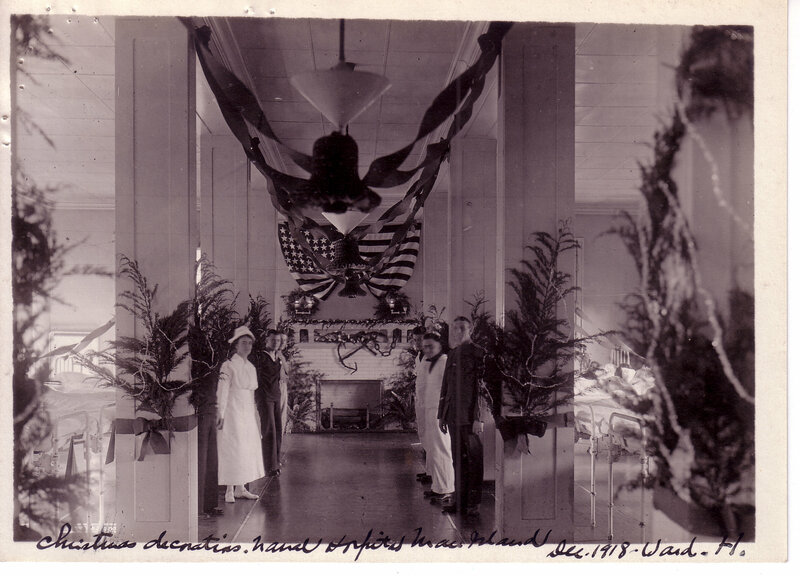 The Naval Hospital at Mare Island was finally experiencing respite from the terrible 1918 influenza epidemic. During the height of the epidemic, in October, only pneumonia patients had been admitted to the hospital while other admissions received their care in one of the 100 14×14 tents especially put up for the purpose. On 19 October, Hospital Commander Ammen C Ferenholt wrote the Navy Surgeon General that hospital workers had received more than 775 patients since the first cases arrived just two weeks earlier. A week later, on the 25th of October, Ferenholt wrote that hospital workers had cared for about 840 influenza patients; 115 of these were victims of the feared pneumonia of whom 68 had died. Among the deaths were three of their own: physician (and chief of the lab) Lieutenant R C Christiansen, a nurse and a yeomanette. Another doctor and another nurse would succumb to the influenza before the epidemic passed. 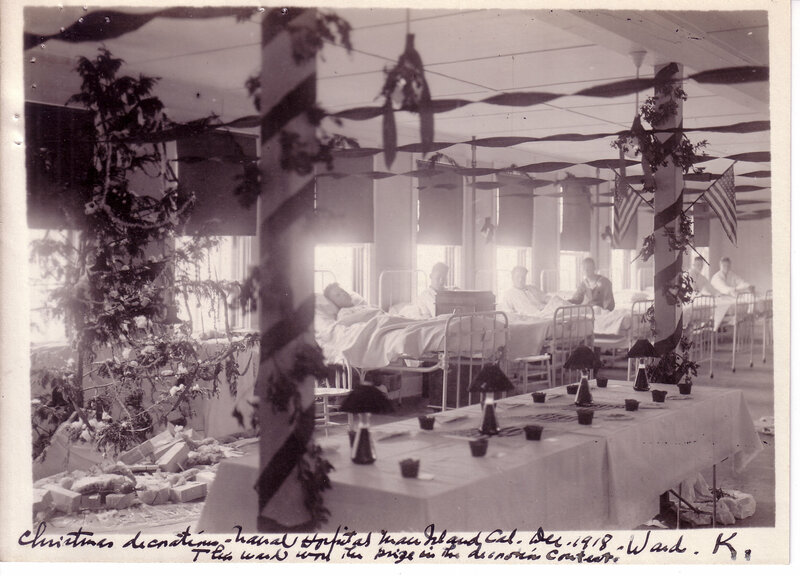 A brief recrudescence of a less virulent strain of the disease again busied hospital staff; four days before Christmas, more than 200 cases were admitted, about 10% of whom were suffering from pneumonia. Wark K Wins the Cup! 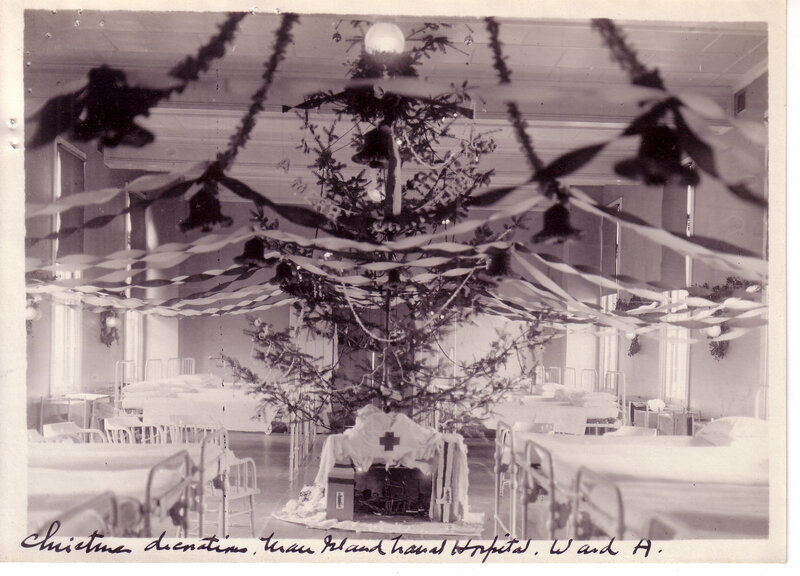 Ferenholt included some personal and not official snapshots of the ward decorations. These give a personal and intimate feel of what those wards looked like. It was a good morale boosting effort after an exhausting month and a half of fighting the influenza. Holiday best wishes to all our readers, wherever they may be. 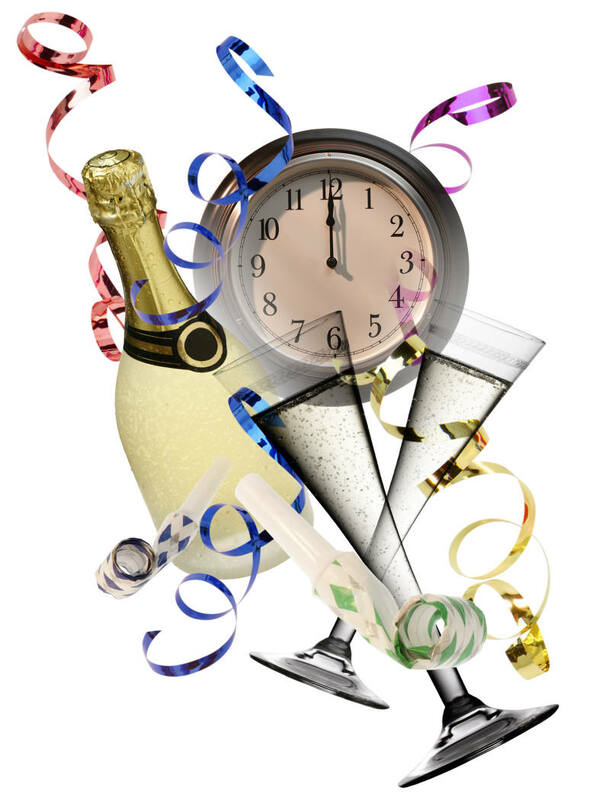 May the New Year meet or exceed your expectations. Tom Snyder, MD Captain, Medical Corps, U S Navy, Retired Blogger-in-Chief, and Executive Director, The Society for the History of Navy Medicine. Prior to the American Revolution, according to historian Harold Langley, merchant sailors from the colonies were required to pay into the British seamen’s hospital fund, even though they may have little opportunity to receive care at the famed institution at Greenwich. Early American efforts to provide care to sailors was left to individual colonies and cities. For instance, as early as 1730 the Pennsylvania legislature instituted a tax to provide health care to sailors in hospitals, and in 1774 passed a law that provided for a quarantine hospital on Providence–now State–Island, as a means to prevent the entry of contagion into the port city of Philadelphia. 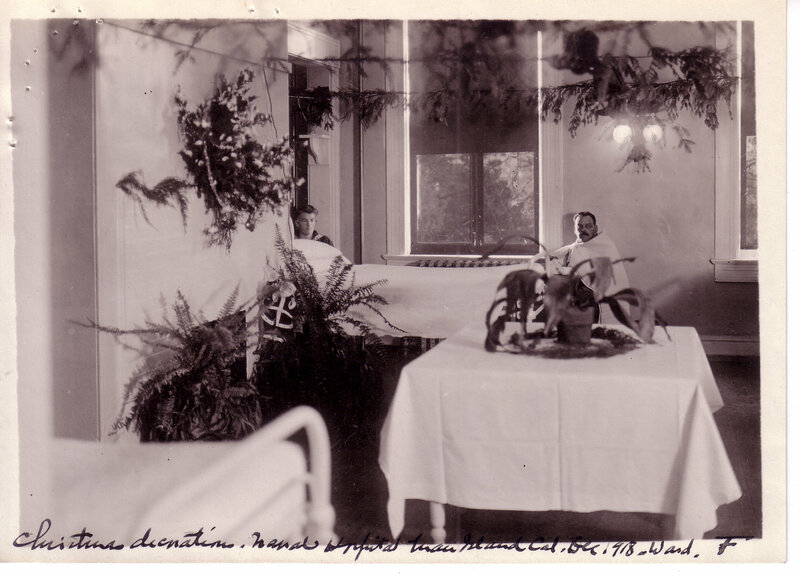 This facility also cared for the sick and wounded of the Pennsylvania navy. The maritime merchant community of Virginia early saw a need to provide for local care of their seamen, and they established a hospital near Norfolk in 1758-59 for this purpose. In 1780, Commonwealth of Virginia instituted a nine pence–raised to one shilling in 1782–per month tax on sailors and merchant seamen to fund the hospital. North Carolina instituted a similar program in 1789. That same year, the first Congress under the new Constitution took up the matter of establishing a hospital fund. Despite prodding from the Boston Marine Society and others, the matter, while brought up regularly, languished in one or another Congressional Committee until 1798, when finally, Congress enacted a law that required masters of every United States merchant ship returning for a foreign port, to pay 20¢ a month for every sailor in his employ to the port collector. These funds were to be funneled from the various ports to the Treasurer of the United States. The Act authorized the U S President to “provide for the temporary relief and maintenance of sick or disabled seamen, in the hospital or other proper institutions now established in the several ports of the United States.” Congress extended the law in 1799 to tax and care for U S naval personnel. Where hospitals were not available, states, and later the federal government often paid individuals to care for sick sailors and merchant mariners in their homes, or cities for care in municipal hospitals. The National Institutes of Health website states that by 1802, the U S government operated marine hospitals in Boston; Newport; Norfolk and Charleston; and was contracting for the care of merchant sailors in Baltimore; New York; Philadelphia; Portland, Maine; New London, Connecticut; Wilmington; New Bern and Edenton, North Carolina; Alexandria, Virginia; and Savannah. While the earliest efforts to provide for sick and injured sailors were concentrated on ports of the Atlantic coast, by 1845 increasing commercial seagoing traffic on the Mississippi River and the Great Lakes led to the planning and construction of Marine Hospitals in Natchez, MS; Paducah, KY; St. Louis, MO; Napoleon, AR; Pittsburgh, PA and Cleveland, OH. The Marine Hospital Service and Marine Hospitals are the precursor of today’s Public Health Service. 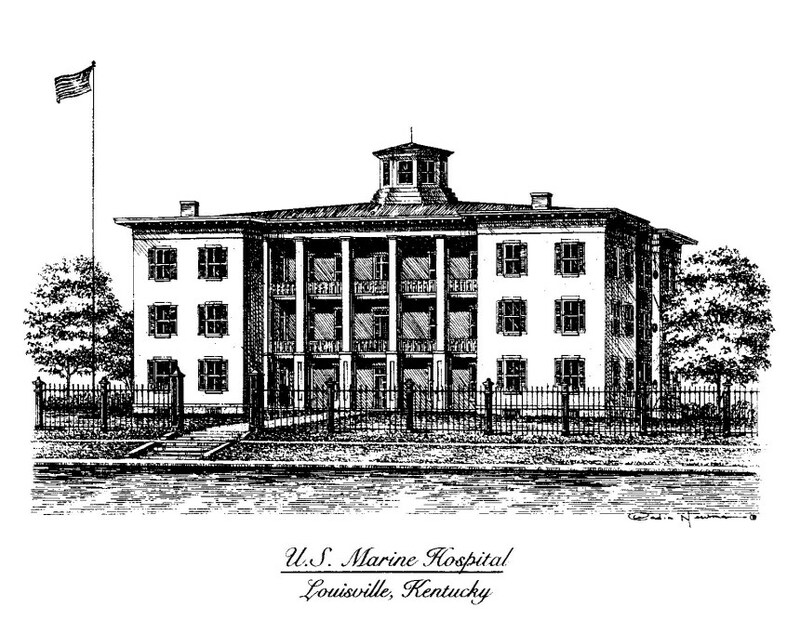 The Marine Hospital, Louisville, Kentucky opened its doors in 1852. It cared for Union sailors early in the Civil War, but was closed during much of that conflict. After the war, the hospital undertook the care of sailors under direction of the Sisters of Mercy until 1875, when a reorganized Marine Hospital Service undertook operation of the facility. The hospital ceased functioning as such in 1933, and has served in a variety of roles since. In 2003, the National Trust for Historic Preservation named the old hospital on its Eleven Most Endangered Places list; the same year, the National Park Service granted it “Save America’s Treasures” status. Since 2004, Louisville residents have been working to restore and preserve the 150 year old historical structure. You can read more about their ongoing efforts a the hospital’s website. The end of the year, at least in the U S, is a time for people to pull together their charitable giving programs so as to maximize their charitable tax deductions. The Naval Historical Foundation is not listed by any of the rating agencies. By my calculations, using criteria established by Charity Navigator, the Foundation would rank as less than average quality. The Foundation does an outstanding job in using its revenues for program expenses, and enjoys very low administrative expenses. Where it falls down, by my calculation, is in the Foundation’s relatively high fundraising expenses relative to fundraising receipts. It’s a sad irony that the Navy Memorial Foundation is ranked in the bottom quarter of all charities by Charity Navigator. I would be remiss if I did not mention the Foundation for the History of Navy Medicine. It’s a 501(c)(3) public benefit charity that supports the work of the Society for the History of Navy Medicine. We spend one hundred percent of our revenues on our programs, we have no administrative costs, and we spend no money on fundraising. You can’t go wrong! On the Society site “Register” page , click on the “Donate” button near the bottom and you’ll be directed to a PayPal functionality to make payment. You’ll be glad you did. Thanks. If you have a favorite maritime, historical or medical history charity for which you can vouch, please send a comment. I’ll research it and add it to this list, if it’s worthy.